If you haven’t heard of TWITTER, than you are surely an endangered species!!!! Today twitter is omnipresent. The growth of Twitter has been phenomenal. Due to this growth more and more people are trying to learn everything that they can about it. Also because of such a popularity the rate at which its tools and apps have been growing is uncontrollable. These Twitter Apps are websites which have built-in scripts that complement Twitter and also some other social networking sites. Below we are presenting some of the best applications that could prove really handy to anyone who wants to get benefited by twitter. 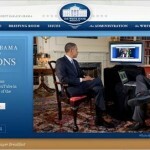 TwitPic allows you to post photos to their site and then tweet the same to Twitter. If you are using Power Twitter, you will see these photos inline in your Twitter Web Interface. 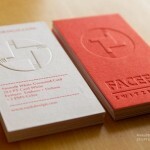 There are several Twitter clients that provide integrated support for TwitPic. Some of them being Twitterrific, ceTwit, twhirl, etc. 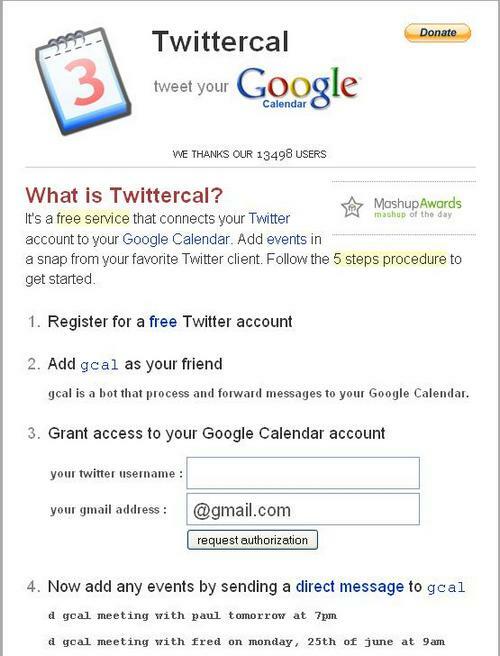 Twittercal connects your Twitter account with Google Calendar. Once you have the two accounts connected, all you need to do is to send a direct message to gcal as shown in the example below to have the event added to your Google Calendar. Twitterfeed allows you to automate posting of new blog posts as a Twitter update. This simplifies a manual task for you. 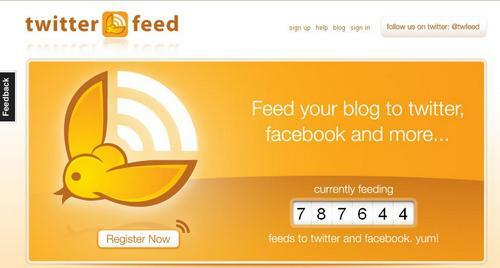 Sign-up at Twitterfeed and enter the RSS feed of your blog. Also enter the frequency at which it should check for updates. 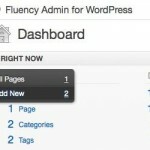 Sit back and focus on your blog now. Twitterfeed takes care of posting any updates directly to Twitter. 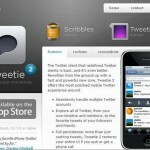 Twitturly is based on the Digg concept but is still different. Instead of voting on our site, you vote by participating on Twitter. Each time that you send a link to your followers on Twitter, Twitturly takes a note of it and applies your vote to that URL. 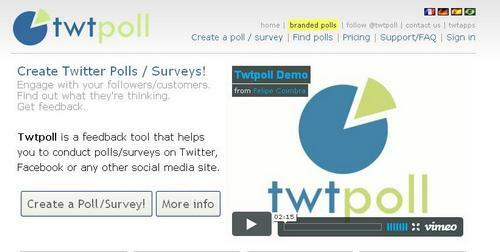 Twtpoll enables you to create opinion polls/surveys using Twitter. twibs is a business directory that lists businesses, apps, and services on Twitter. 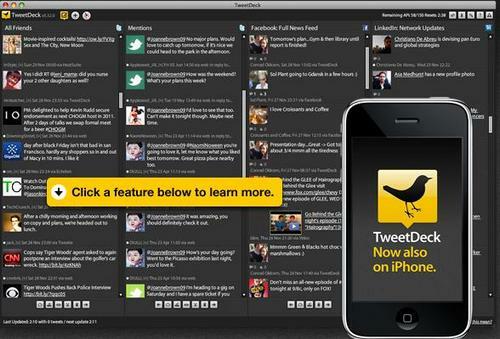 twistori is an application that searches the Twitter timeline for certain keywords. The UI is quite elegant with keywords shown on the left. 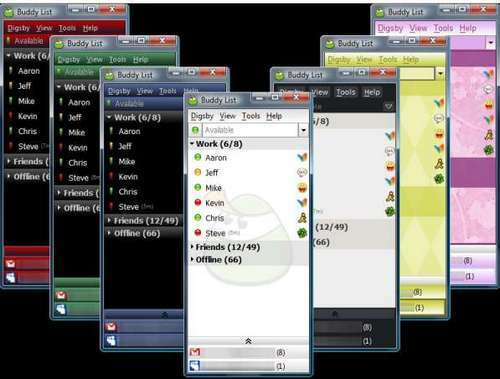 Digsby is a ‘combo application’ that support Instant Messaging, Email and Social Networks like Twitter. Instant Messaging Platforms supported are AIM, MSN, Yahoo, ICQ, Google Talk, Jabber, and Facebook Chat. For email it supports Hotmail, Gmail, Yahoo Mail, AOL/AIM Mail, IMAP, and POP3 accounts. Social Networking support includes Facebook, Twitter, MySpace and LinkedIn accounts. Tweetree puts your Twitter stream in a tree so you can see the posts people are replying to in context. It also pulls in lots of external content like twitpic photos, youtube videos and more, so that you can see them right in your stream without having to click through every link your friends post. Twittley is a social bookmarking website for Twitter. You can submit links to Twittley and have other vote up your submission. 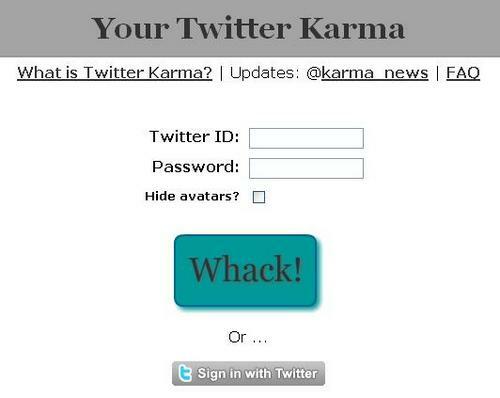 You need to login with your Twitter login credentials. Twittley also provides a bookmarklet which can be used to submit links at the click of a button! Remember The Milk keeps track of your tasks. 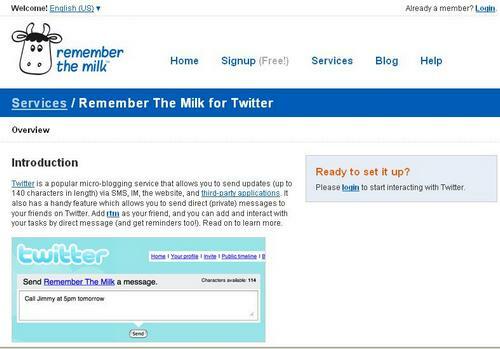 Simply add Remember The Milk as your friend, and you can add and interact with your tasks through direct messages and get reminders. 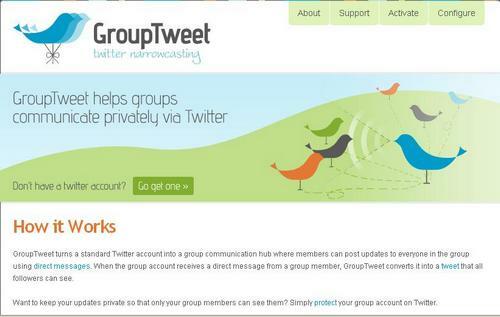 GroupTweet allows you to create private groups within Twitter to have discussions. You need to create a protected Twitter account for the group and have all members following it. Whenever you send a message to the group account, GroupTweet will in turn forward it as direct messages to all the group members. 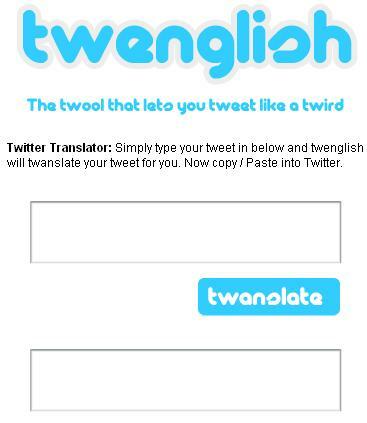 Simply type your tweet in below and twenglish will twanslate your tweet for you. Now copy / Paste into Twitter. TwittaScope publishes your horoscope to your Twitter account based on the frequency you select. 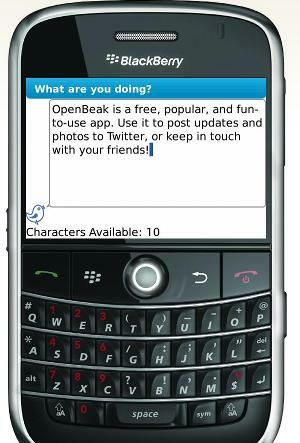 UberTwitter is a Twitter client for the BlackBerry line of mobile phones. 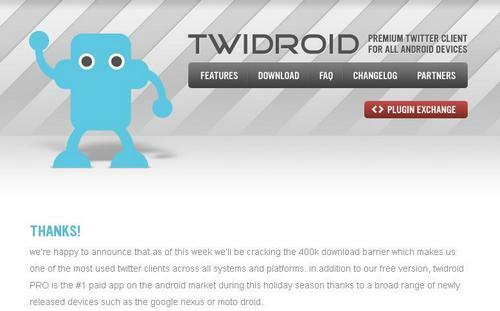 twidroid is the industry-standard twitter client for android and among the most used twitter applications across all platforms. it’s available as a free and commercial pro version that supports all twitter features as well as functionality that is customized to the capabilities of android devices. TwitterFone is free service that lets you update your Twitter feed using your voice from any mobile or cell phone. You call it, speak your tweet, and hang up. TwitterFone transcribes what you’ve said from voice to text, and posts it to yourTwitter feed for you. twitsay allows you to leave a voice message on your Twitter profile for all your followers to hear. The service is available only in a few countries currently. TwitterBerry is mobile client for posting updates to Twitter. It works over the data network, so you don’t need to use SMS. As the name suggests, TwitterBerry is available for the BlackBerry devices. 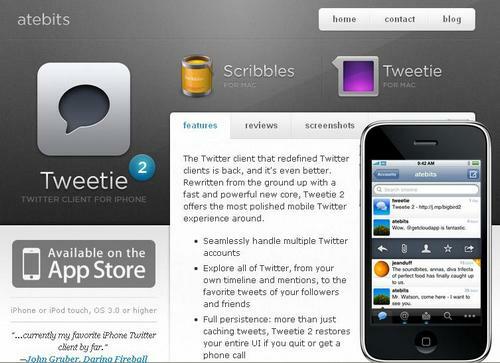 Tweetie is a full featured Twitter client for the iPhone and iPod Touch. 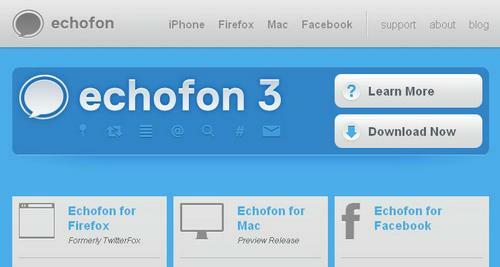 EchoFon for iPhone (formally known as TwitterFon) is a Twitter client for your iPhone and iPod Touch. EchoFon is focused on 80% of your task of Twitter such as check friends/replies timeline, check direct messages, send a reply and/or a direct message, and search. It also focused on easy to use. 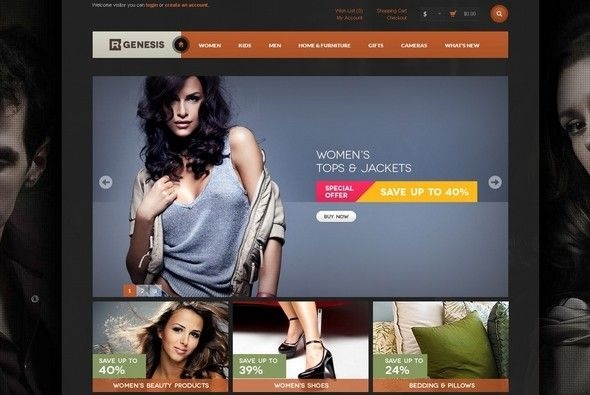 It has very clean user interface, very fast response and scrolling. twhirl is a Twitter desktop client, based on the Adobe AIR platform. 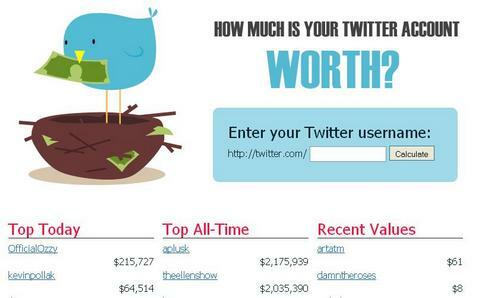 It runs on Windows and Mac OS X.
Twitterholic provides a ranking of the Top Tweeters. 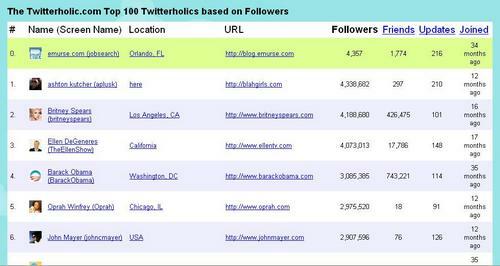 The list is being constantly updated so you can find out who the most popular twitter users are. The most popular users on twitter are crawled every day, everyone else gets crawled randomly. Tweetburner allows you to track the website links you post on Twitter and find out how many times people clicked on the link. 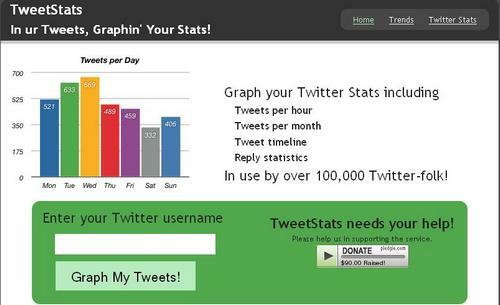 Think of it as an analytics service for Twitter to keep track of the popularity of links you post. 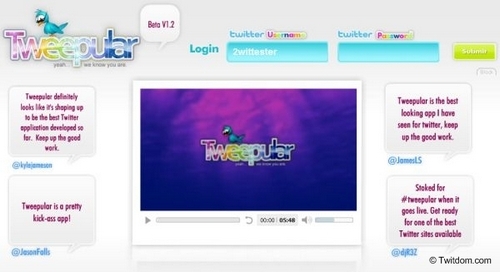 You need to sign in to Tweetburner with your Twitter credentials. 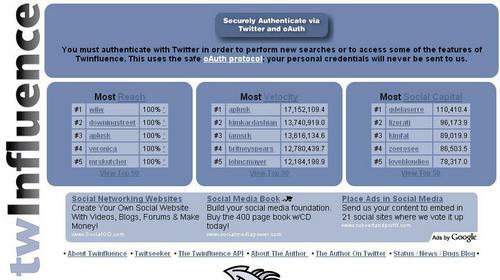 TwitterCounter is the equivalent of the counter you see on many sites from FeedBurner. FeedBurner focuses on the number of subscribers to your website feed while TwitterCounter shows the number of followers you have at Twitter. twInfluence is a simple tool using the Twitter API to to measure the combined influence of twitterers and their followers, with a few social network statistics thrown in as bonus. 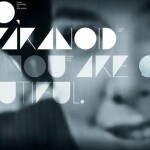 Twitter Grader measures the power of a profile. It is a good way to locate other Twitter users with similar interests. 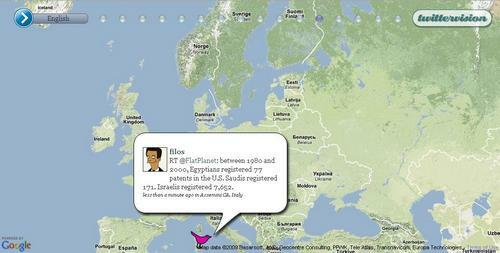 TweetScan searches Twitter, identi.ca and other Laconica-based sites. You can search public messages and user profiles with results available via email, RSS, JSON, and Twhirl. Twitter Search allows to search everything that is going on in the world. Twitterfall is a way of viewing the latest ‘tweets’ of upcoming trends on the micro-blogging site Twitter. Updates fall from the top of the page in near-realtime. You can see tweets for all upcoming trends, or for specific ones from the sidebar. 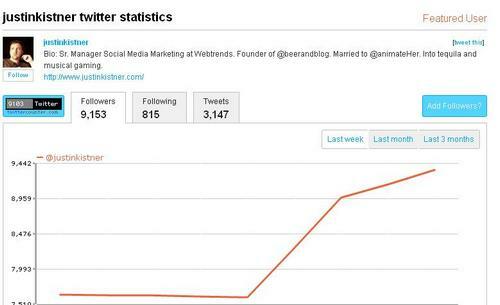 NearMetter enables you to search the conversions taking place between two Twitter users. 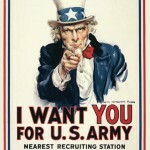 Twitter Job Finder is a job search engine for Twitter that indexes and archives job related tweets over a 7 day period. 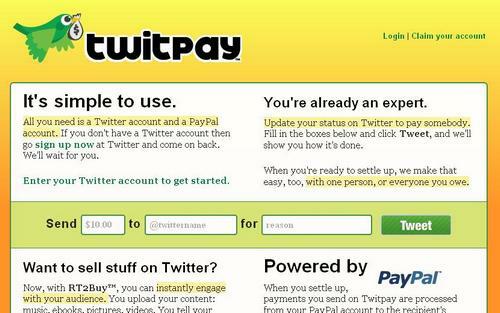 Twellow is a large directory of Twitter users designed to be the yellow-pages for Twitter. It allows browsing of hundreds of categories, location searches using the Twellowhood map feature, and keyword searches within names, bios, and locations. 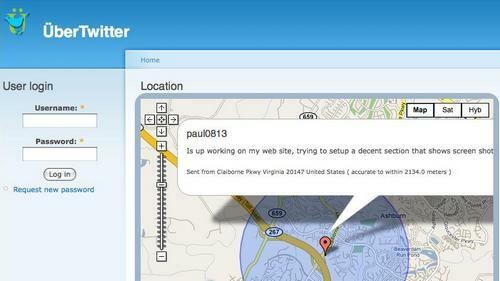 Twittervision is a real-time geographic visualization of posts to Twitter. Ensure your Twitter profile has a location and an image defined to appear on the public feed. 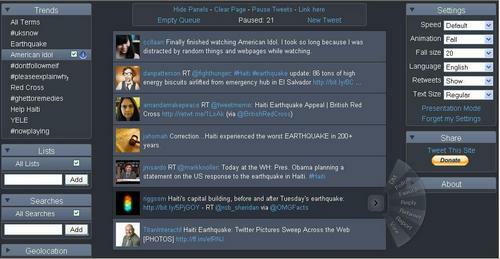 This will also enable you to be ‘located’ on the Twittervision map. TwittEarth is a fun mashup on the lines of TwitterVision. It shows tweets in real time on a globe. TwitBin is an extension for Firefox that brings the power of twitter right in your browser. You can easily send and receive messages via Twitter in your Firefox browser. Echofon adds a tiny status bar icon that notifies you when your friends post tweets. You can also view updates in a timeline and post your own tweets. Search Twitter and Google Together. Compare results simultaneously. Get Real Time as well as General Google results. 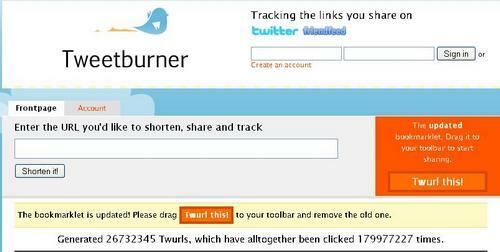 Twitzer is a Firefox extension which lets you post text longer than 140 characters on Twitter.com. It also provides a feature where you can resolve all TinyURL links to actual links so that you are sure you are clicking on safe links. Twitter Karma is a simple application that lets you manage your follow list. It displays all the people you follow and lets you know if they are following you back. Options to Bulk Follow and Bulk Unfollow are provided to simplify the task! Tweetyogi allows you to find friends depending on your interests. It also allows you to follow users of a particular zodiac sign! 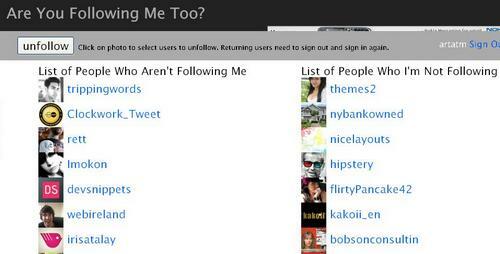 Are You Following Me Too is a simple web application that gets a list of people who are not following you back. Mr. Tweet helps you easily build meaningful relationships by looking through your network and tweets. FriendOrFollow enables you to manage your twitter contacts. FriendOrFollow shows you who are you following that’s not following you back and who’s following you that you’re not following back. 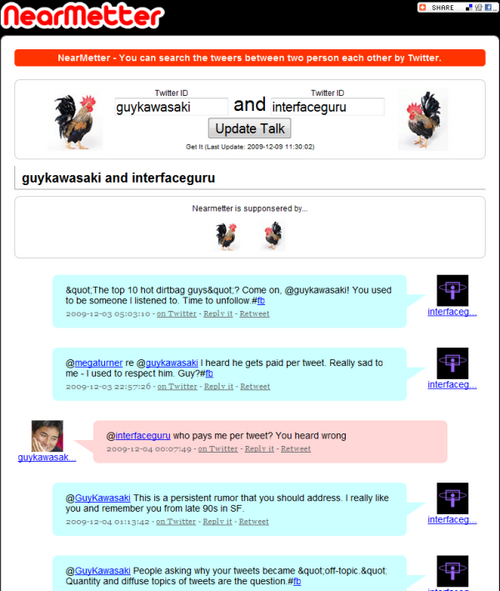 Tweepular is a Twitter Follower Management Tool. 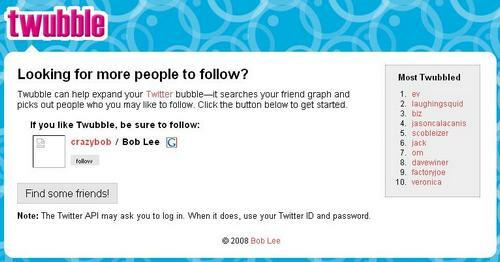 You can quickly find out who is following you and quickly cleanse your Twitter account. One of the best Twitter User Directory with more than 700,000 users on it. 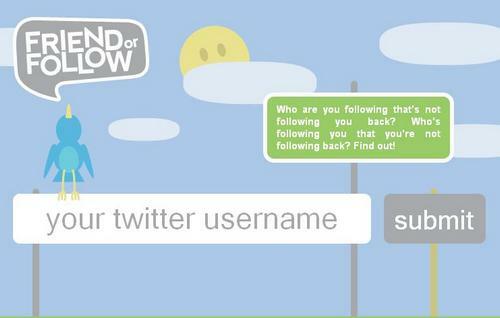 WeFollow is a user powered Twitter user directory. 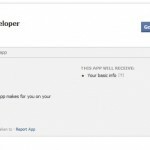 Each user can have three associated tags. To add yourself to the directory, all you need to do is to send a message to @WeFollow with the three tags you would like to be listed under. TopStockTweets is a mashup displaying real-time stock tips from the highest ranked Twitter stock market experts. You can get the details on today’s most tweeted stocks, tags, and URLs. What is My Twitter Account Worth tries to attach a dollar value to your Twitter profile. Only if there was a “SELL NOW” button, it would make things so much more interesting! 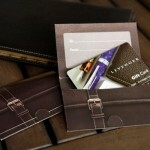 Tweetwhatyouspend is a free tool that makes cash tracking easy. The 000-974 prep material and 642-746 practice test are developed by certified experts for guaranteed 000-083 exam preparation. 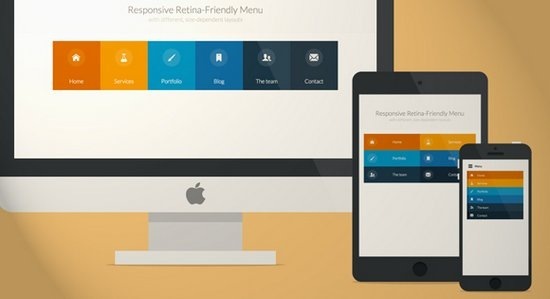 The testking provides best quality testking 352-001 training for developers and designers with large array of graphics, typography and web designs to help you create good designs using testking 312-50 tools. This is a very good document. I am so delighted the online world still has superior articles. Very good resource list. I will probably use at least five of these on a regular basis. WOW! You spent some quality time on coming up with this list, thank you! Generally I don’t accomplish comments on people’s website, but I ambition to say that this cavalcade actually bogus me to do so. Actually nice website! Very well written story. It will be helpful to anybody who employess it, as well as myself. Keep doing what you are doing – looking forward to more posts. 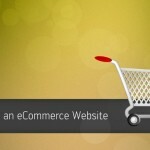 weblog arrived up in my search and i impressed by what you may have published on this subject. I’m presently extending my search and thus can not lead further, notwithstanding, I’ve bookmarked your web page and can also be returning to maintain up with any approaching updates. Simply adore it and thank you for tolerating my remark. I’m impressed, great collection, I used WordTwit in the past but stopped working, now I’m using Twitterfeed. Love Twitter! Great info here. Thanks!